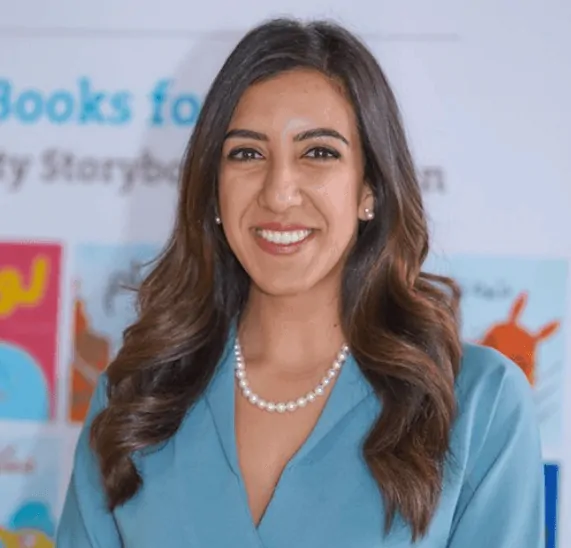 Dina Elabd is a children’s author and critic, and the founder of Arabic Book A Month. For over ten years, she has worked in children’s book publishing, presented at conferences and contributed to the production of over 35 books and magazines. Dina has also completed a Masters of Education at the University of Cambridge specializing in Critical Approaches to Children’s Literature. Dina has published three children’s books, with her fourth coming out soon. Her titles include Melouq (2016), The Lion that Dressed as a Sheep, The Magic Palm (2017), and Mila, The Beautiful Cat (ميلا القطة الجميلة). 1. How would you introduce yourself to someone who doesn’t know you? I am a children’s book author and critic. I believe that quality children’s books can make a huge difference in the lives of children, from improving literacy to empathy. I love spending my time at the beach or reading/writing a book. 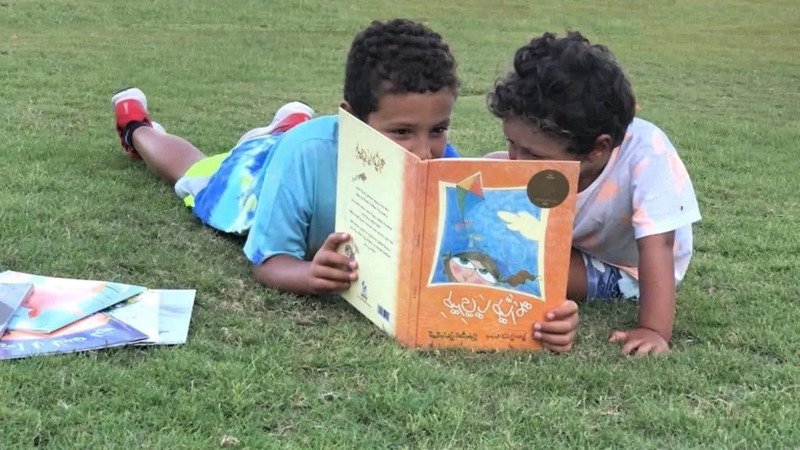 Dina Elabd creates Arabic books for children. 2. What was your first Arabic grammar book? 3. 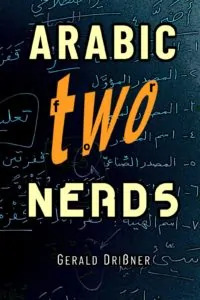 What is your favorite Arabic book (novel, etc.)? 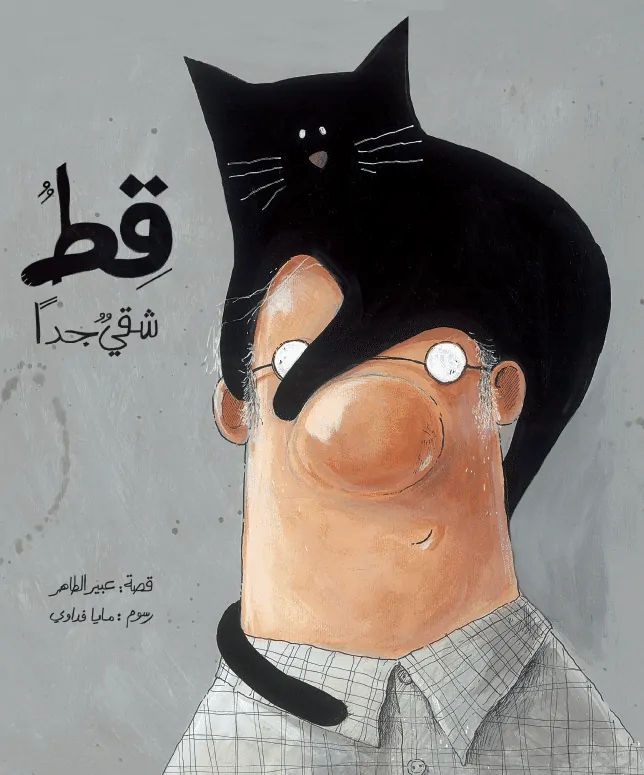 A very naughty cat (قط شقي جدًا) by Abeer el-Tahir (عبير الطاهر). Remark: It is the story of an old man and his cat. It tells about loneliness, friendship, sincerity, accepting others, and is full of warm feelings. In 2014, قط شقي جدًا was the “children’s book of the year” (33rd annual Sharjah International Book Fair). 4. 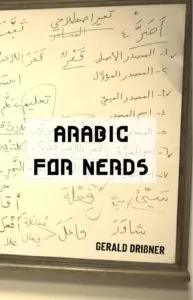 How much time does a native speaker of English need to master Arabic? At least two years intensive. 5. What is your favorite Arabic word? 6. Which Arabic word do you like least? 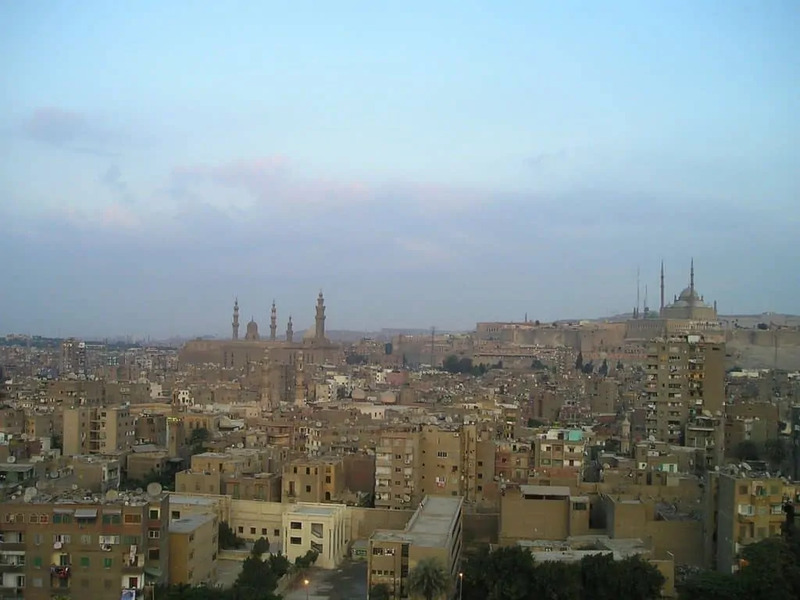 Cairo in Egypt where Dina Elabd currently lives. 7. Which Arabic dialect do you like best? 8. What is your favorite Arabic colloquial word or expression? “al-face” when referring to facebook – totally cracks me up! 9. What is your favorite Arabic quote or proverb? It literally means that through the door can pass camels. The expression denotes that if you don’t like it, the door is wide open, and you are welcome to leave. 10. What is the best thing that was ever said about the Arabic language? That it is a beautiful language. Dina Elabd not only creates Arabic books for children. She also helps parents to find suitable books. 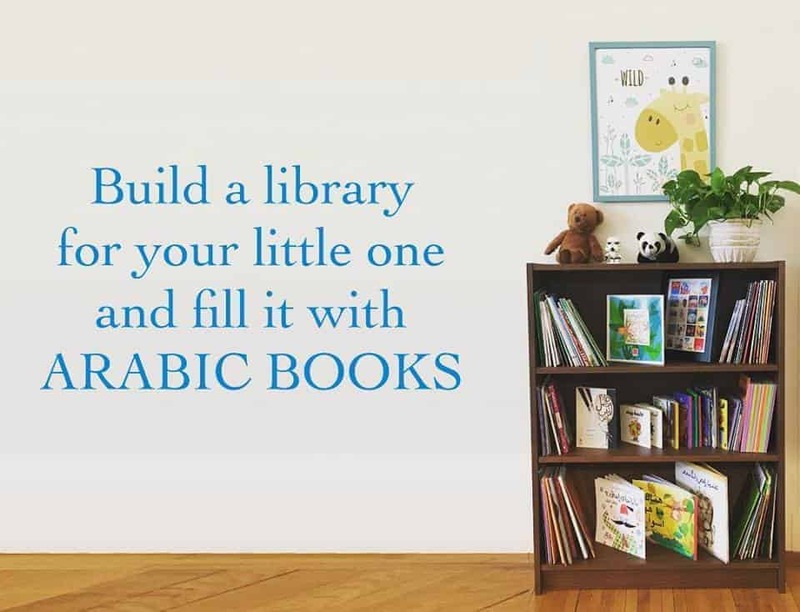 Friends and family often ask: “What Arabic books should I buy for my child? Are they good?” Arabic books for children are often boring or related to religious topics only. Dina Elabd would like to change that and started Arabic Book A Month. This is how it works: Every month you will receive a package of carefully selected, high quality Arabic children’s books. All you have to do is select your child’s age group (0-3, 4-7, or 8-12 years old) and the number of books you want. 11. What is the best piece of advice you were ever given? Never give up on your dreams, no matter who doesn’t believe in you. 12. Which three people would you like to invite for dinner? JK Rowling, Oprah and Prophet Muhammad. 13. What was the last great meal you had? 14.What is your favorite city? Aswan, a beautiful city in the south of Egypt. 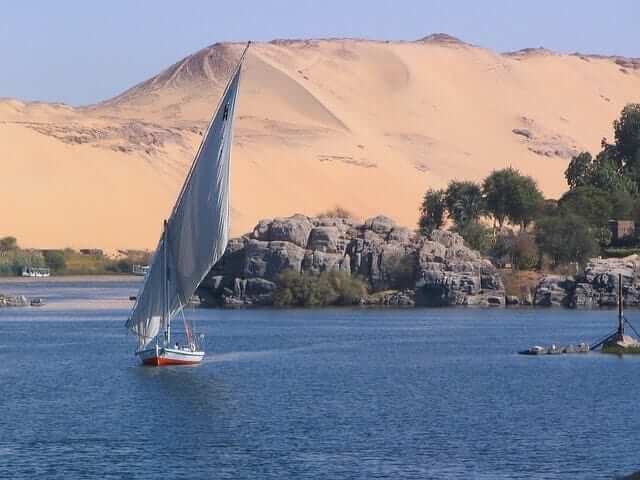 Aswan is one of the hottest and sunniest cities in the world. 15. Which book would you give to a dear friend? The map of love by Ahdaf Soueif. 16. What is your all-time favorite movie? 17. What music do you listen to? You can easily subscribe to Dina’s service Arabic Book A Month on her website. Her customers are mainly located across the USA. Dina offers free shipping in the USA. 18. When were you happiest? 19. What is your greatest fear? Getting sick before I can see the world. 20. What is your life motto? Dina Elabed, thank you for your time. Note: This page was last updated on Feb 10, 2019 @ 15:25. How do you say “both” in Arabic?